Put the face of a loved one on a pack personalized playing cards maybe a picture of your pet or one of the kid's, holiday snap, the choice is yours that's the beauty of TMCARDS Brilliant Playing Cards. 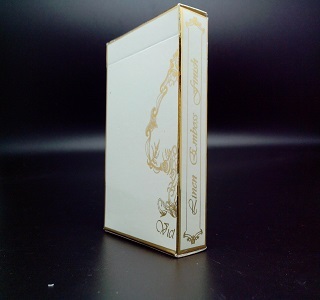 The remarkable feature of our TMCARDS brilliant Playing Cards is that we allow you not only to customize the back of the card with your design but the all 54 playing card faces and the playing card box as well. TMCARDS also allows Businesses Organizations to create a pack of playing cards with your corporate image and include some useful information for their valuable clients. Examples: At Conversion Tables one can create a set of cards with all the sizes and forces for their client’s designs teams. For Memorable/Important Dates, one can create a set of TMCARDS playing cards with the dates of all the significant events and send to all their clients inviting them to attend. TMCARDS DOT COM publishes high-quality themed Brilliant Playing Cards for collectors and enthusiasts. All our poker-sized / Bridge-sized playing cards are presented in a strong tuck-box. Packs either feature 18 special illustrations on the court cards, aces and jokers; or feature images on a chosen theme on every card. Sleek and classy, these Custom Playing Cards by TMCARDS DOT COM are brilliant gifts for card players. 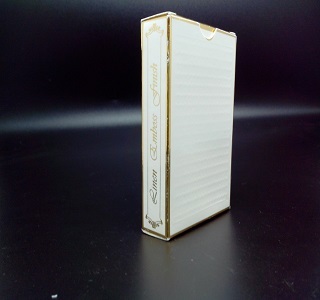 The elegant brushed metal case holds one deck of playing cards and is engraved with a name or short message. Perfect gifts for the wedding party whether you are having a casino themed reception, a Las Vegas wedding, bachelor or bachelorette parties. They are also great for corporate events. TMCARDS Awesome Playing cards promise high-quality, excellent Print and a reasonable Price. TMCARDS provide 100 % Customer Satisfaction and total customization with new design and colors special for you. One could opt for Exclusive plastic playing cards or paper playing cards with or without logo for varying themes and occasions / events. Make your friends, clients, near-and-dear-ones in awe of our custom-made pack of TMCARDS Brilliant Playing cards!